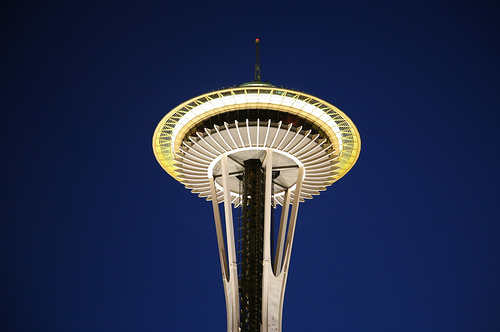 I’m in Seattle this week for Gnomedex 6.0, which starts tonight. 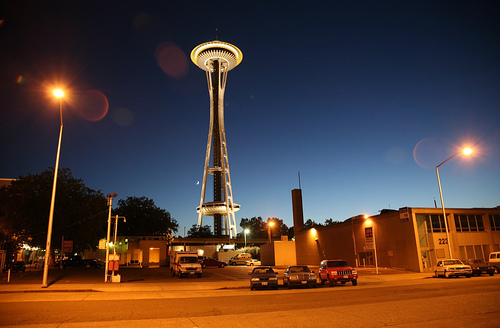 Last night, on the way back to the hotel, I stopped and shot some night photos of Seattle’s famous landmark the Space Needle, located in Seattle Center. 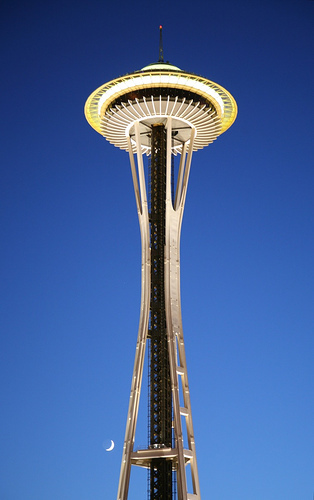 The Space Needle was built for the 1962 World’s Fair. Here’s some more history.